A few weeks after I had been admitted to the Opera School, my teacher, Mauricette Cebron, kept me back after class and said "You need to study with Mademoiselle"! "Really ?" I replied. "Mademoiselle Who ?". "You can’t mean to say you don’t know … Mademoiselle!" Clearly, that question was sacrilege, and not daring to insist, I ran downstairs to Lucien Ferrari, our concierge who kept watch at the Artists’ Entrance. He knew everything. And that is how, accompanied by my father, I was presented to Carlotta Zambelli, the last of the great Italian ballerinas at the Opera. She received us most pleasantly, and said that I would be admitted to her to class. And so on the Tuesday and Friday, I would walk up to her studio after classes at the Opera, alongside a few comrades like Pierre Lacotte, the only boy who took Mademoiselle’s class. As we reached the studio, the advanced class before us was just ending, and we would peer over the balustrade, admiring Jacqueline Moreau, Christiane Vaussard, Paulette Dynalix, Claude Naudès, Viviane Delini ... wearing short petticoats (never once was the word tutu heard on Mademoiselle’s lips). Mademoiselle is said to have danced with esprit. The dance she demanded from her students was clear, balanced, no ribbons-and-bells or striving for effect. While she insisted upon a strong dynamic, precision, and musical exactitude, performing the steps diligently was no excuse for stilted poses, stopping-and-starting, or a disagreeable harshness. Carlotta zambelli was extremely demanding, and the tempi were to be precise. The sky would fall on any pianist unfortunate enough to slow a passage down, in hopes of "supporting" a pupil who had hit a snag! Nor would she tolerate exaggeration. Lifting the leg above hip-level was heresy, and should anyone hazard it, she would retort "We are not here to learn the Cancan" or "This is not a Russian studio!". The science of épaulements and ports de bras held no mystery for Mademoiselle Zambelli. With us children, she was most attentive to placement of the hands. If we tended to splay the fingers, she would hand out little pieces of paper, that we were to pinch between the thumb, index and middle finger. To help us understand the ‘effacement’ of the shoulders, we would sometimes dance with our arms linked between the back and hands crossed, just like in Degas’ Petite Danseuse. Her barre was short (not over 20 to 25 minutes if I recall aright), but alive and alert. Neither the music, nor the order and composition of the barre exercises were ever altered. The music was chosen to fit each particular exercise like a glove. As for the middle, Mademoiselle did not stand up to demonstrate herself. We ended up by knowing every exercise by heart. She had only to say grand fouetté ballonné for the adage or les jetés (one of her notorious séries), for us to know straight off what to do. After the adage came the tours, one série, petite batterie and a short pas de pointes. The lesson concluded with a big enchaînement that invariably finished with a series of tours suivis stopping in 5th, and a manège of piqués en tournant, that were to stop in a stable fourth, which one was expected to hold for at least three seconds. Were there time left, and had we worked well, Mademoiselle would allow us to dance the gypsies’ entrance from Les Deux Pigeons or Swanilda’s friends. The greatest reward was the Harvesters’ entrance or something from the Willis in Giselle. The lessons ended with a Salut. Here is what Mademoiselle would tell us: "Never ’dive’, bending forward in the révérence. In fourth, with the legs slightly bent, incline the head gracefully forward, with modesty and dignity. The torso remains upright." Mademoiselle would demonstrate, and what an example that was ! I see her now – a slender outline, always dressed in grey, in a silk blouse and a string of pearls, a calf-length skirt, and laced Richelieu street shoes with a small heel. Her head was small, under a helmet of silver hair, and black, piercing gaze lighted her narrow features. I attended Carlotta Zambelli’s private studio from 1942 to 1950. 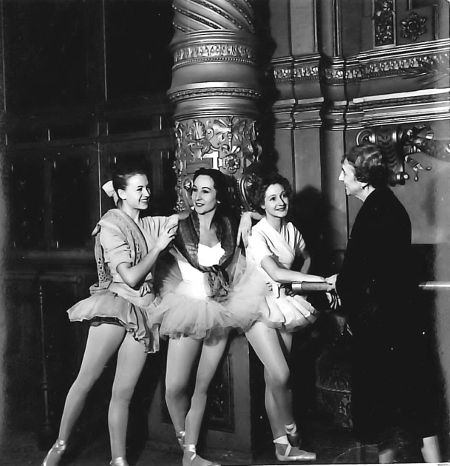 When, in 1950, I was appointed Grand Sujet, I took her class in the Foyer de la Danse at the Opera, restricted to the female Grands Sujets, Premières danseuses and Etoiles. I was then 17. After so many years, I think of her with respect, affection, and gratitude. 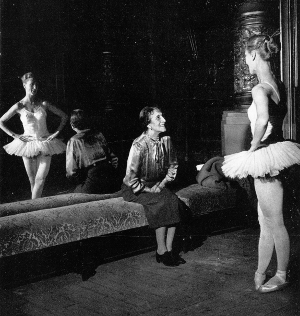 Jacqueline Rayet was appointed Etoile at the Paris Opera in 1960. She had joined the corps de ballet at only 13; Georges Balanchine straightaway cast her in his Serenade, Palais de Cristal and Le Baiser de la fée. Choreographers such as Serge Lifar, Peter van Dyk, Roland Petit, Lorca Massine and above all Maurice Béjart created work for and with her. To the major roles of the classical repertory, she devoted careful study as well. In 1981, she became maître de ballet for Béjart at the Ballet du XXème siècle en 1981. 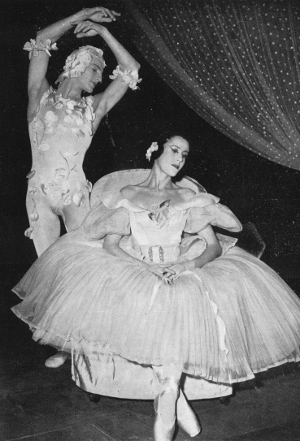 At Rolf Liebermann’s request, Jacqueline Rayet was also maître de ballet at the Opera in 1979 and 1980. From 1986 to 1998, she taught at the Conservatoire national supérieur de Musique et de danse de Paris. Jacqueline Rayet is Officier de la Légion d’Honneur, Chevalier des Arts et des Lettres and Commandeur de l’Ordre national du Mérite.